Contact Dentique today at (619) 501-3613 or visit our office servicing San Diego, California. Committed to excellence. Inspired by aesthetics. At Dentique, Dr. Rahbar has reinvented what it means to visit the dentist. Dentique is an oasis where you, your health and your comfort are our priority. 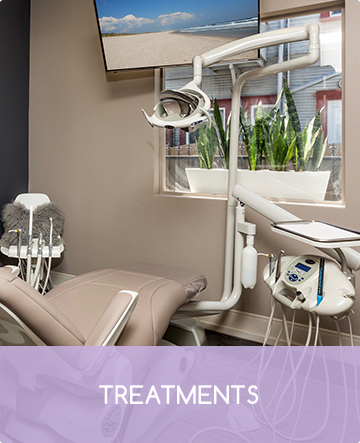 Experience the latest advancements in high-quality dental care in our state-of-the-art facility with all of the luxurious amenities of a spa. At Dentique, we believe that relaxing in elegant spa surroundings enables the body to comfortably receive treatment and to heal more effectively. Dentique's hallmark is a concern for your utmost relaxation with cutting-edge technology and culminating with sophisticated aesthetics. And with one visit, you will see for yourself what makes Dentique the most unique dentist experience you've ever had. A trip to our world-class facilities is a spa-like experience, and Dr. Rahbar's calm, compassionate demeanor creates a stress-free environment for your regular dental care. 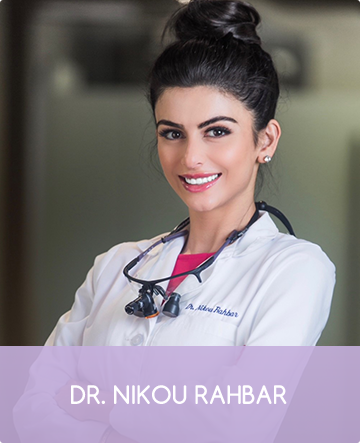 Dr. Rahbar is an expert at providing conservative yet effective dental treatments that restore the smile both cosmetically and functionally. We stand by the philosophy that our patients deserve quality dental care in a comfortable and relaxing environment. Dentique offers safe and non-invasive sedation options for those who may suffer from dental phobia or anxiety. If you want to permanently replace missing or broken teeth, dental implants may be the perfect solution. At Dentique, we provide some of the highest-quality, affordable dental implants San Diego has to offer. Straightening your teeth with Invisalign will enhance your smile as well as your confidence. Schedule a free consultation today to see if you are a candidate for Invisalign invisible braces. Dr Nikou is like no other dentist.. her bedside manners are unparalleled. She’s also very very knowledgeable in dentistry. Very detailed and thorough. I love Dr. Rahbar. I have been going to her for years. She is a very detailed perfectionist, and did an awesome job on my veneers! I'd recommend her to anyone!! Very professional, great dentist, made me feel very comfortable and did a great job on my implants. Highly recommend! !